OSHA recently announced their plans to target site-specific inspections for non-construction worksites with 20 or more employees. Targets will include (1) employers with high rates of injuries and illnesses; (2) a random selection of employers with low rates of injuries and illnesses; and (3) a random selection of employers who did not meet their requirement to disclose their injury and illness rates for the previous year. These targeted inspections are part of a resurrected 2015 Site-Specific Targeting Program. What Is OSHA’s Site-Specific Targeting Program? This is a 2015 program that OSHA is reviving again. They have created new criteria to determine which sites to target. 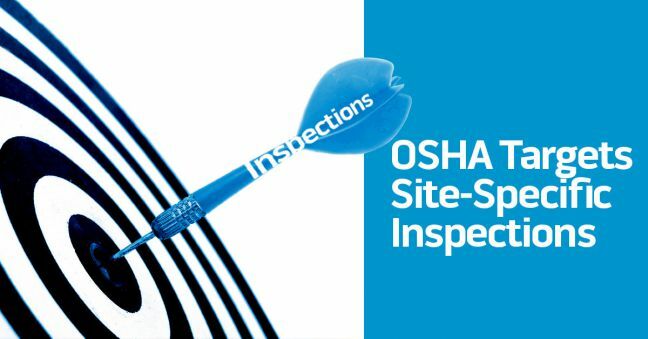 What Are the Three Criteria for Site-Specific Inspections? OSHA’s announced three criteria for these inspections, as listed below. OSHA will use 2016 Form 300As employers submitted and select employers with high rates of illnesses and injuries. In particular, OSHA will select establishments with high Days Away, Restricted or Transferred (DART) rates. DART rates vary from industry to industry, so there’s no single DART rate that will put establishments on OSHA’s list for targeted inspections. OSHA plans on getting close to a 50:50 grouping of manufacturing and non-manufacturing establishments. In addition to randomly selecting establishments with high rates of injuries and illnesses, this targeted inspection program will also include a random selection of employers with LOW injury and illness rates. These companies are being included for quality control purposes. Finally, OSHA will select a third group of establishments, randomly selected from those who were supposed to submit their Form 300As but did not submit. Why? Because they want to create a disincentive for companies to not comply with the Form 300A submission requirement. Read more about Form 300A and online submission of Form 300A here. While we’re talking about this, it’s worth noting there’s no reason for this targeting criteria to happen to your company since you can get an online safety incident tracking and reporting system that creates all your OSHA recordkeeping forms and even handles online OSHA submission for you–check the video below to learn more. What About States with State Plans? Yep, they’re required to perform the same targeted site-specific inspections using the same three criteria. How Many Targeted Sites Will OSHA Inspect? They haven’t said, but during their 2015 Site-Specific Targeted Inspection program, OSHA inspected 1,300-1,900 sites. When Will This Site-Specific Targeting Program End? The program lasts for one year, unless OSHA renews it. So right now, it’s scheduled to end on October 16, 2019. Click to learn more about OSHA’s new Targeted Site-Specific Inspection Program. 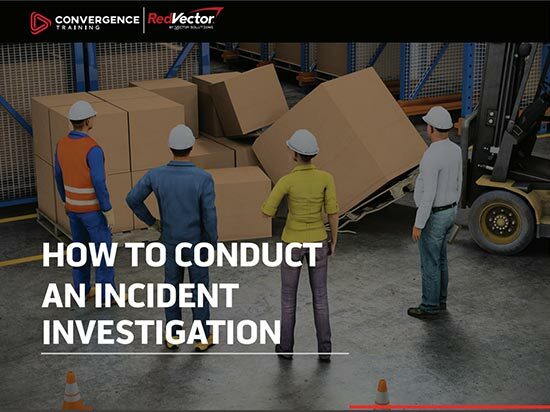 Before you leave, download our free GUIDE TO CONDUCTING INCIDENT INVESTIGATIONS, below.